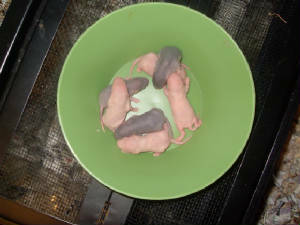 All rats bred at Starlight Rattery are hand picked for health, a loving nature, and life span. 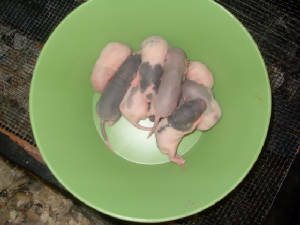 We only breed to improve the selections of rats in the pet market in this area. We don't breed for food, or do we allow any rat we place to be food or breed for food! We only breed on a small scale only have about five litters in a year, sometimes more sometime less. All babies are handled and loved daily and are health checked before being placed into a forever home. All babies come with a complete (unless other wise stated) and honest pedigree. We require an adoption form for every baby that is placed. 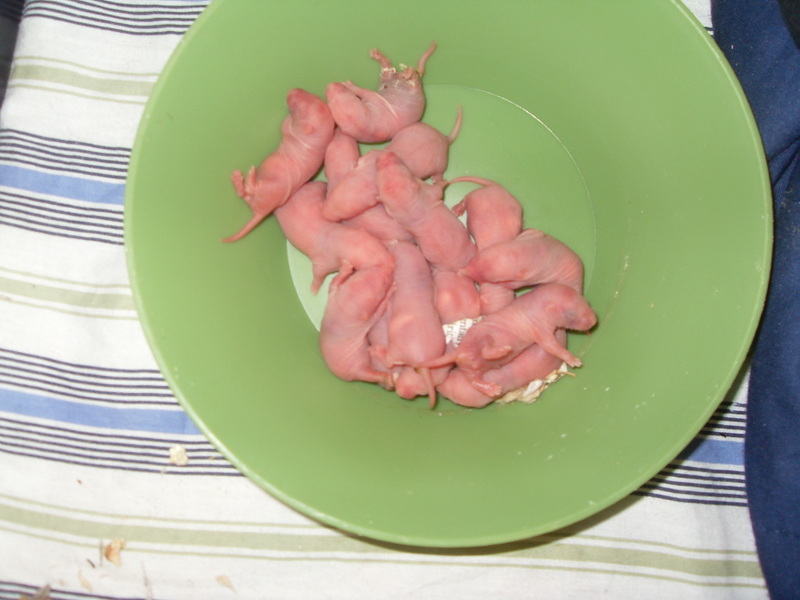 We only adopt out in pairs, unless the home can provide information that there is another rat already in the home. Our Current fee for babies is: $5 each or $7 for a pair, for more the price will be talked about. Whether or not a rat is "show-quality" depends on which club you intend to show it in. 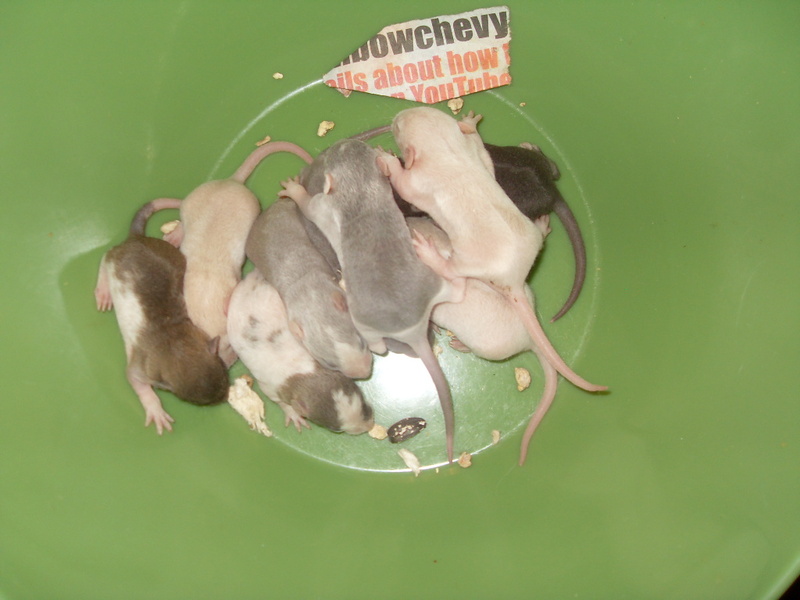 Any rat can be shown in pet classes so long as it is healthy and of good temperament. True "show-quality" animals are not common and certainly do not occur in every litter. If you are interested in showing rats, familiarize yourself with the rules and standards of the club you will be showing them in. A pedigree is just a history of the line of ancestors in a rat's family. It may provide only names or types or it may include health information, birthdates and dates of death. A pedigree is only as good as the information it contains. If that information is incorrect, it is worthless. If it is correct and includes details, especially relating to health, it can be very helpful to a breeder. A pedigree for your rat does not necessarily make the rat more valuable, monetarily speaking. TSLR Black Beats x TSLR Coffee and Cream "Lily"